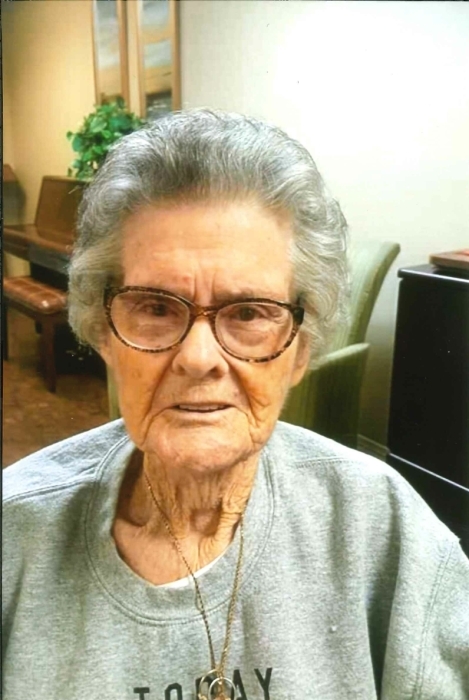 Obituary for BETTY SUE SUMMERS | Whitwell Memorial Funeral Home, Inc.
Betty Sue Summers age 89 of Chattanooga, formerly of Whitwell, passed away Friday, March 29, 2019. She was preceded in death by her parents, Will & Bessie Summers; sisters, Virgie Hughes, Hazel Holland, Ailene Long; brothers, Sam Summers, Robert Summers, Son Summers. Betty was a member of Indian Springs Church of God. Those left to cherish her memories are sisters, Rachel Yell, Bill Ball, Jo (Johnny) Yeoman of Whitwell, Myrna Rhule of Dayton, Ohio; brother, George Summers of Rossville, GA; several nieces and nephews. Funeral services will be at 2PM, Sunday, March 31, 2019 in the funeral home chapel with Rev. Johnny Yeoman officiating. Interment at Sardis Cemetery in Whitwell.